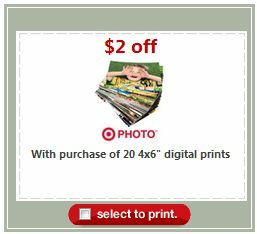 Get 20 4x6 prints for free at Target this week. They are on sale for 10¢ each this week. But, order 20 and then use this $2.00 off 20 coupon to get 20 photo prints for free.